As someone that is constantly on the move, I am very excited about the upcoming Surface Go. Yeah, an iPad with keyboard case is doable, but really, it is a poor experience. Apple still doesn't offer mouse or track pad support in iOS, which hinders productivity. Conversely, with Surface Go, you can use any Windows compatible hardware in addition to the official Type cover -- mice, keyboards, etc. Currently, there are two consumer variants available for pre-order. Both have the same Intel Pentium Gold 4415Y processor, but the $399 model comes with 4GB RAM and 64GB storage, while the $549 variant gives you 8GB of RAM and a 128GB SSD. Surprisingly, there is a third model currently being sold exclusively at Costco that should be quite attractive to some consumers. If you aren't familiar, Costco is a shopping club in which members pay an annual fee to gain access to the store and its low prices. Many of the food products are sold in bulk, offering a lot of savings -- if you can use it all before the expiration date! In addition to groceries, Costco sells pretty much everything -- including computers and other devices. 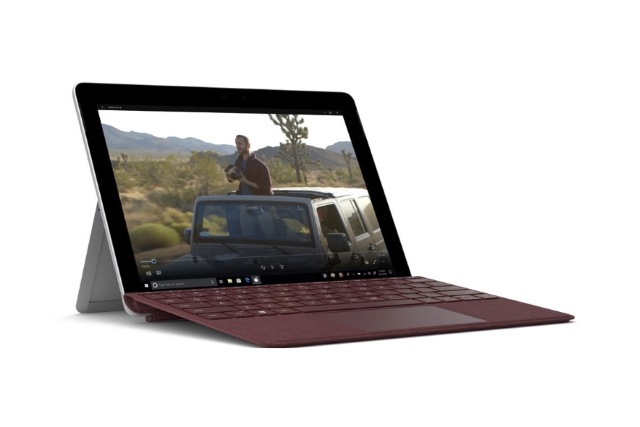 If you are a Costco member, this exclusive Surface Go model may tickle your fancy. It costs $549 and has the same Intel Pentium Gold 4415Y as the other two models. Where it differs, however, is that it has 4GB of RAM and a 128GB SSD. I am sure you are wondering, why would anyone pay $549 for this variant when that same price can get you the 8GB/128GB model. Ah, good question. The reason is, Costco's special variant also includes the $99 black Type Cover (not Alcantara) at no extra charge. Depending on your needs, and if you were going to buy a Type Cover anyway, this may make sense for you. If you are a Costco member and want to pre-order this exclusive variant, you can do so here. If you aren't yet a member, you can sign up here, starting at $60/year. Of course, if you prefer 8GB of RAM (my suggestion) you can pre-order the better model (without type cover) here.